The last two months have been bustling on the training front at ThinkBuzan. As we grow our training portfolio and activity, we are creating more and more mental literacy champions across the globe. The calibur of delegates at the TLI (ThinkBuzan Licensed Instructor) courses couldn’t be more impressive and we know they will be invaluable partners in our mission to get the world thinking better. 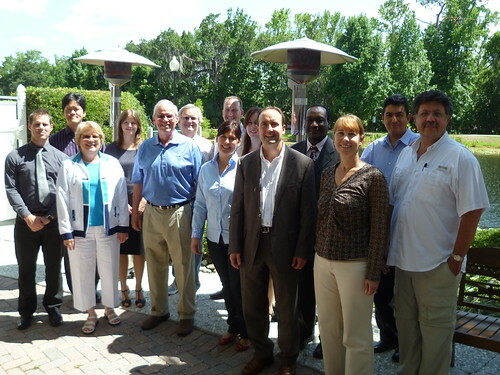 Our ThinkBuzan Licensed Instructor Pathway in Orlando last month was a phenomenal success. The group ranged from UN advisors to US Navy Admirals, from Budapest to Milwaukee. Intelligent, creative, quick off the mark and one of the warmest groups of people we have ever worked with. The TLI is not a series of lectures – it is interactive and we engage the group in discussion and activity throughout the course. With the group in Florida, the contributions and stories shared were fascinating, relevant and reinforced the skills we were teaching. 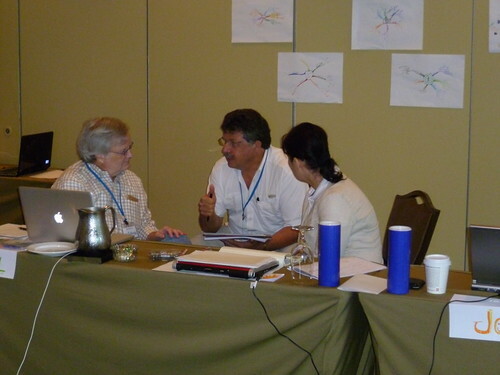 The GRASP system is intrinsic to the TLI courses, and this group was all over it. Exploring the different thinking modes and applying it to solve their own professional or personal issues; we had some great ideas flying around. From building a music studio, to new career paths, to developing work in education – these guys provided a lot of food for thought. A big thank you to everyone who attended in Orlando. You made it a smashing week and we look forward to working with you going forward. Last week saw the first ever ThinkBuzan Speed Reading Licensed Instructor Course to be held at the ThinkBuzan base of operations in Cardiff, UK. 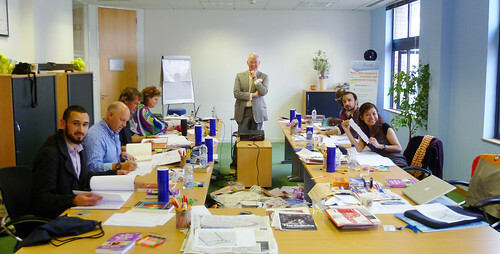 We were all thrilled to host this energetic course led by Tony Buzan. Once again, people from all over the world attended the course; Italy, Nigeria, Australia, Thailand just for starters. Straight away energy was on a high – no one can grab and motivate a room quite like Tony. 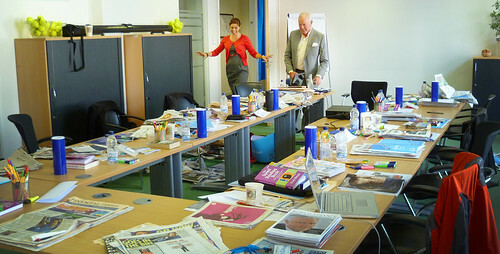 As they got stuck into the Speed Reading exercises, the group were enthusiastic to say the least. They are planning on arranging follow up sessions in groups to continue to develop their Speed Reading skills. We have got a jampacked autumn/summer of training ahead, travelling from the UK, to Amsterdam, Singapore and Australia. If you would like to sample some of what’s on offer, take a look below and get in touch while there’s still space! Be trained by 8-times World Memory Champion, Dominic O’Brien. Dominic will personally give you the simple techniques and tips to start remembering more, instantly, and make you more successful professionally, academically and in social situations. Increase your reading speed up to ten fold and improve your comprehension – it is possible! This exclusive course will allow you to get through emails, reports, briefs, essays, novels and more with efficiency and understanding. Master the versatile Mind Map, for note taking, problem solving, ideas generation and more. Find out how to Mind Map to improve personal productivity and creative thinking from the world’s only official Mind Mapping trainers. Tailor your training experience to your needs and become the future of strategic innovation and knowledge management as we know it. From iMindMap accreditation, to advanced creativity and innovation theory and practical productivity applications, this comprehensive pathway has it all. The first ever Memory TLI – this is not one to miss! Whether you want to remember facts and figures at work to make writing reports and presenting painless, or to memorise information to ace your exams, Tony Buzan can help. Become accredited to conduct your own professional memory workshops and develop your skills and training in the globally growing area of memory techniques. The 4th of our flagship TLI courses to be held, this time in beautiful Singapore. Final TLI of the year and we will be on the other side of the world. Fantastic and rare opportunity for Tony Buzan to work with people over in Oz, so make sure you snap up a place soon.